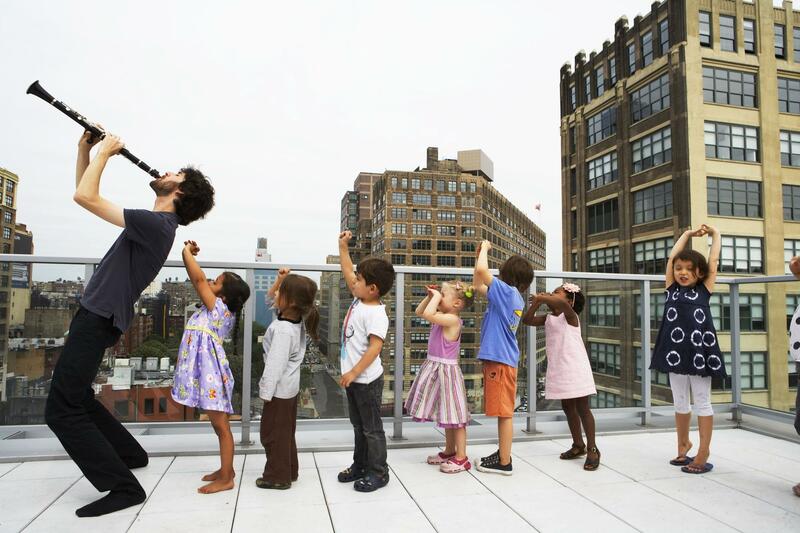 Internationally renowned clarinetist, composer and Timbalooloo children’s music class founder Oran Etkin comes to The Greene Space for an interactive family concert! Timbalooloo fundamentally reimagines the way music is taught and how music is conceived by children during their formative years. Joined by Oran’s friends Clara Net (his Clarinet), the Piano and the Violin, he’ll take kids on an interactive musical journey around the world. Share the excitement that Bach felt as he discovered the newly invented pianoforte in the court of King Frederick the Great of Prussia; play a musical game of hide and seek with Mozart; and even explore some of the music that influenced or was influenced by classical composers — from Eastern European Roma (“Gypsy”) music to great Jazz composers such as Duke Ellington. The Timbalooloo band for this concert includes renowned jazz pianist Aaron Diehl and violinist Fung Chern Hwei from the Sirius Quartet. After the performance, join us for an after-party at Timbalooloo’s new SoHo space at 131 Varick Street, between Spring and Dominick Streets. → Can’t make it in person? Watch our free live stream.